This is a topic we were dreading adding to our list of exposures. The last thing we wanted to do was be seen as a source of division among the body of Christ. It wasn't until just recently that the falsehoods, false doctrines, and apostasy from the pulpits became so overwhelmingly blatant and blasphemous, that we knew the spirit was moving us to enact on Ephesians 5:11 which commands us to: "Take no part in worthless deeds of evil and darkness; instead expose them." We're not in the business of leading believers out of their home church that's definitely not something we encourage. However, for the good of ones soul it's important to use spiritual discernment to question things that are said from the pulpit that when filtered through the word of God are not compatible. I don't know your pastor so I would not be able to give righteous judgement over him however many pastors these days may be being motivated by fear and deceptive spirits and in turn not preaching the true gospel that saves lives. Proverbs 3:24-26 tells us "You can go to bed without fear; you will lie down and sleep soundly. You need not be afraid of sudden disaster or the destruction that comes upon the wicked, for the LORD is your security. He will keep your foot from being caught in a trap." We need to understand that as the true remnant of God we will endure some measure of persecution. Jesus promised it. In 2 Timothy 3:12 it says. "in fact, everyone who wants to live a godly life in Christ Jesus will be persecuted." Trying to circumvent that persecution that we are called to would be a great mistake knowing that that removes us from His covering and does not allow us to enact on our faith in the knowledge of the almighty hand of God being our one and only hope and hedge of protection in a world that will soon see us true Christians as the virus of the world that must be exterminated. Also in Matthew 10:22 "And you will be hated by all on account of My name; but the one having endured to the end, he will be saved." Much of what we are seeing now especially from the pulpits is the unfortunate willingness to conform to the mold of this world. "Do not be conformed to this world, but be transformed by the renewing of your mind. Then you will be able to discern what is the good, pleasing, and perfect will of God." Romans 12:2 I believe that many are being lead to question these things by the Holy Ghost in that in the last days it is prophesied that many will fall away from their first love (the true gospel). Apostasy is gradually setting in and it's meant to be subtle not sudden. The true church of God is not meant to be a social club or be fed the "feel good gospel" it's called to do the following: “Preach the word; be instant in season, out of season; reprove, rebuke, exhort with all longsuffering and doctrine. For the time will come when they will not endure sound doctrine; but after their own lusts shall they heap to themselves teachers, having itching ears; And they shall turn away their ears from the TRUTH, and shall be turned unto fables.” 2 Timothy 4:2-4 I pray The Lord give you wisdom, knowledge and understanding. I pray He enlighten you with spiritual discernment in this matter and that you be lead by the Spitit of God. 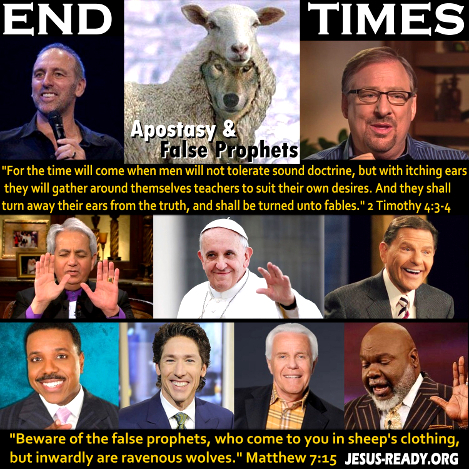 We are in the last days and sadly false teachings, false doctrines and quiet pulpits will be a cause for apostasy and endangering many souls. Apostasy by David Wilkerson WAKE UP CHURCH!!! 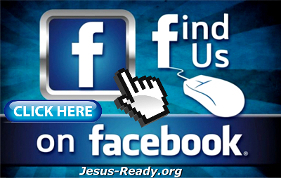 False Teachers EXPOSED! Watch, and Beware!